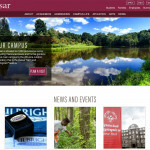 Vassar is greeting its digital visitors in a whole new way. Regular Decision Applicants: On Tuesday, March 27, 2018 we released decisions for regular decision applicants. Please login to your applicant portal: http://apply.vassar.edu/status to access your admission decision online.